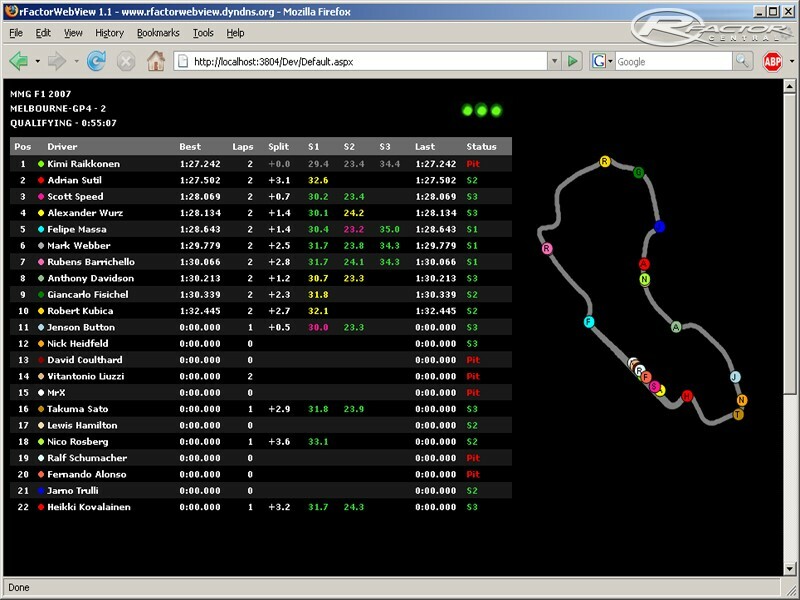 rFactorWebView is an asp.net website designed to display rFactor sessions in real time over the internet. 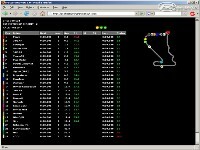 It can be used to broadcast any type of race, from a dedicated multi-player league race to a single-player test session. 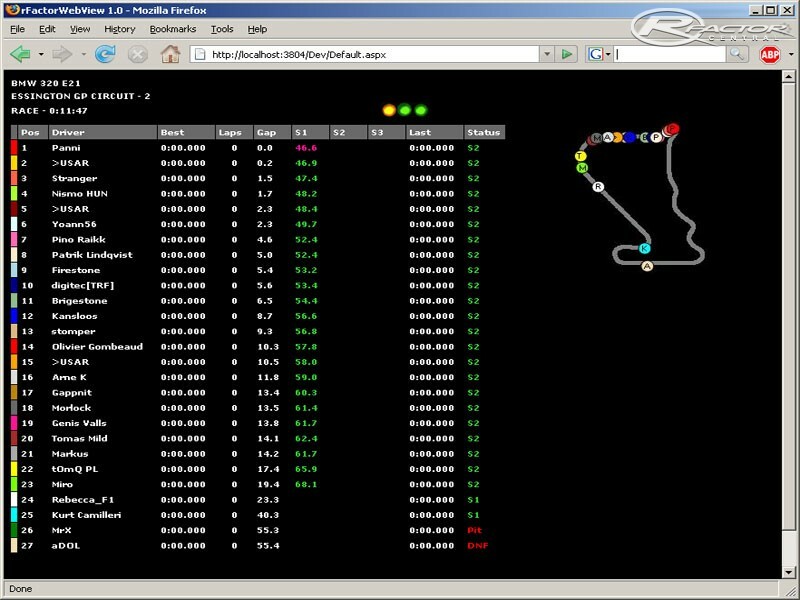 rFactorWebView will display all driver information including lap times, sector times, splits, status and the current location of each driver on the circuit. rFactorWebView is a ready made website and only requires a Windows Server with IIS and ASP.net 3.5 installed to run. • Fixed issue where track image would not show at certain times. • Fixed issue where track image files were locked (read only) if in use. •	Fastest lap is now indicated by a small dot next to drivers best lap. •	Set table background display to transparent. • Fix bug for non EN servers giving blank output or incorrect timing. • Removed end of race gap data as output incorrect. • Added Image quality setting to config file. I have the same problem with ARCA, it generates ID=10 for Race and not 7 as in rFactor. got it working on win 7, with GSC 2013 but cant seem to get it to work when the race is on any reason for this ??? practice and qualify work but when the race starts error. The rfactorwebview.com site is being closed. If someone would like to host the files please let me know or add your link here. If you do download the zip files from another site you can verify the files with the following checksums. Can I do it on Linux? 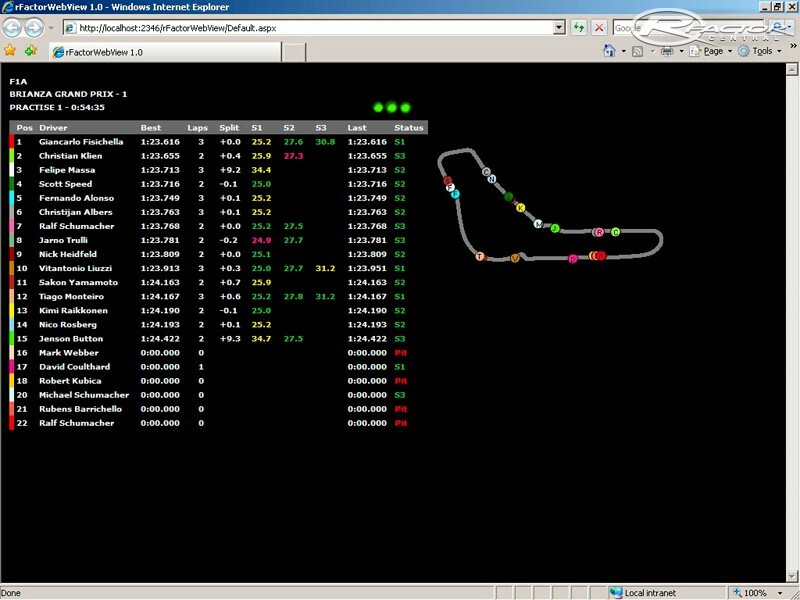 Would it be possible to dissociate the track and the standings on two windows so that il would be simplier to integrate this tool in a website ? What was the error. Can you post on the rfactorwebview forum or send an email? I downloaded it and tried to upgrade from 1.3 and I was getting an error about the web.config file. I reverted back to 1.3 and all was well.